*vScope can run on Linux OS too, but the Linux-version only supports discovery of Windows systems through WinRM (not WMI) Learn More. FIRST – What kind of vScope are you running? If you are on a vScope Assisted Trial you have received a trial code which you can enter under “Evaluate”. This gives you unlimited access to everything in vScope. 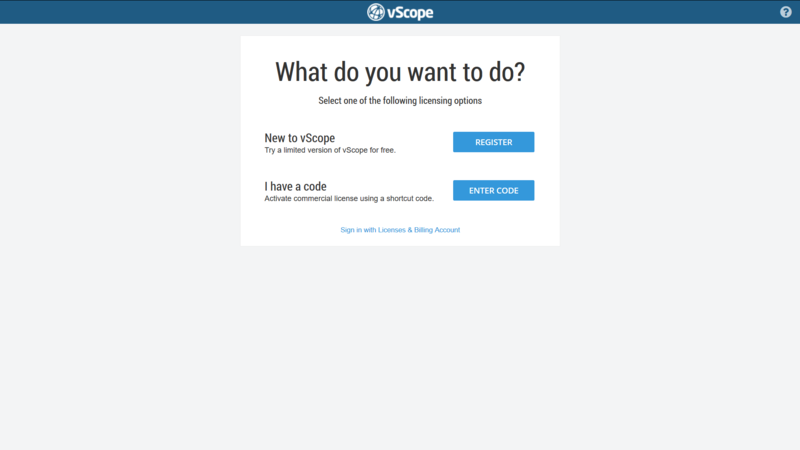 If you are new to vScope and just want to try it out, please select “Try”. This option provides a limited trial in terms of data, but you are able to work with vScope to get a feel for it. 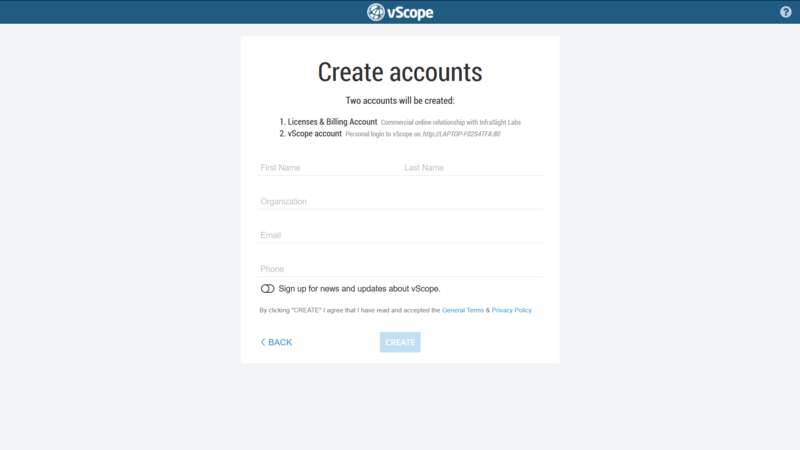 Create the first vScope user which will be the initial administrator for the installation. Under the settings page in vScope you will also be able to connect vScope to your directory service for remote authentication of users. 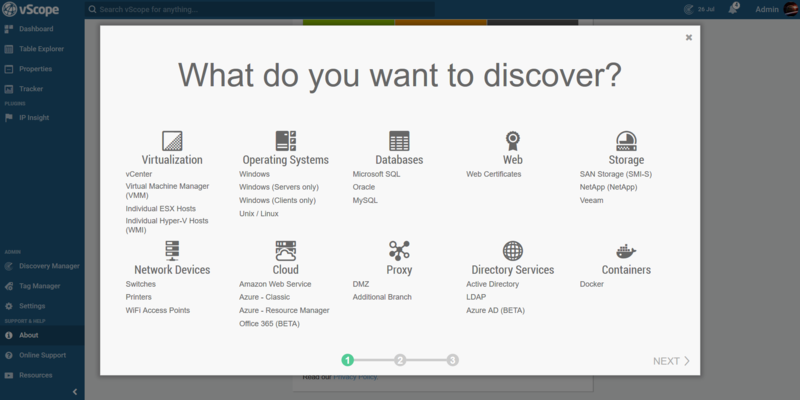 With help of the Discovery Wizard you’ll be guided through the procedure of adding information to the vScope platform by entering credentials and targets to your resources. Please ensure that the credentials have highest possible read-permission and that the vScope server have full access to your datacenter. 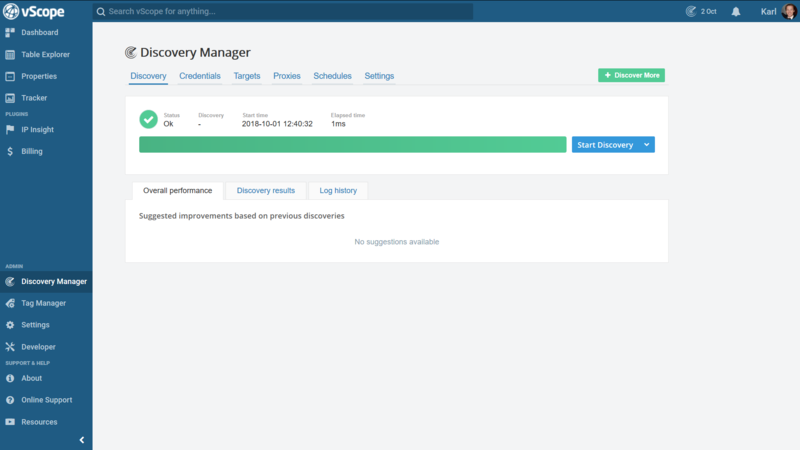 More information about the Discovery Manager can be found on the FAQ-page and in this vScope Academy video. FINAL – Time for the first discovery! Now when everything is setup and prepared for take off, let’s start the first discovery by hitting the “Start Discovery” button. Easy!